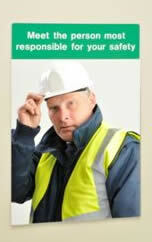 These safety slogan mirrors provide a useful addition to site and work place safety. Create your own message whether for safety or motivation. Manufactured from impact resistant acrylic. Rounded corners and smooth polished edges. 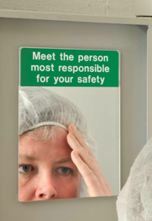 Manufactured from impact resistant acrylic.Mirror size: 450 x 300 x 3mm thickRounded corners and smooth polished edges. Mirror size: 200 x 150 x 3mm thick.Rounded corners and smooth polished edges. *Excludes Highlands and Islands. Please contact us for a quotation. Made-to-Measure service available. Please contact us for a quotation. These mirrors are suitable for fixing to any flat substrate. Mirrors can be supplied with a scratch-resistant coating.